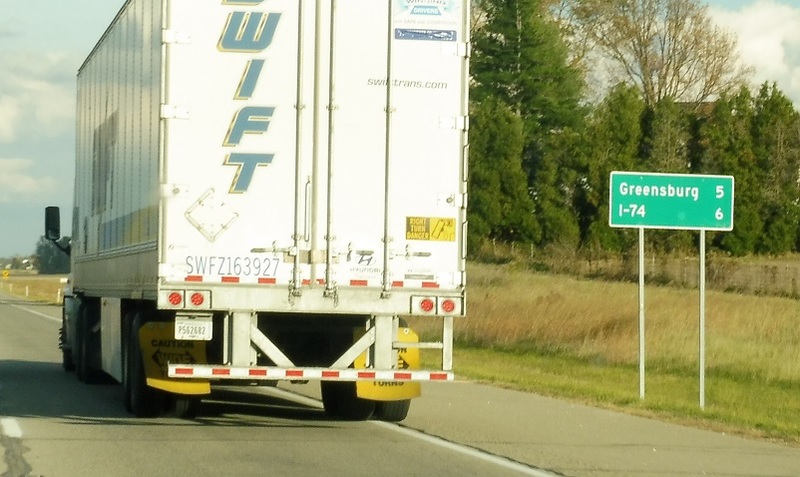 Reassurance shield as 46 joins 3. 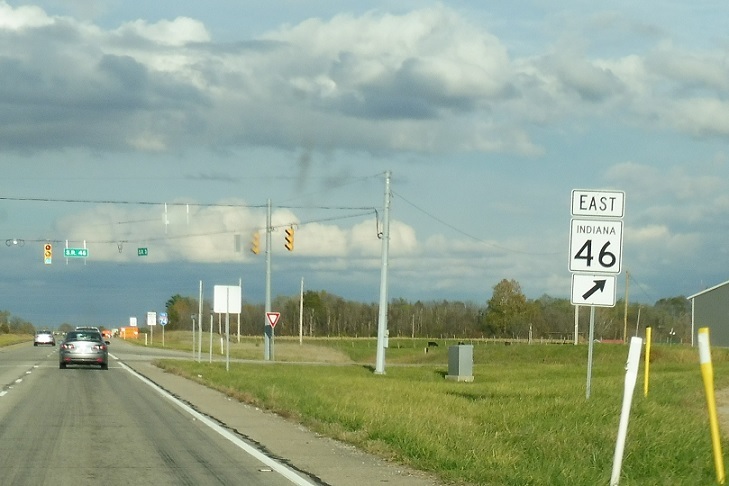 Six miles to Interstate 74. 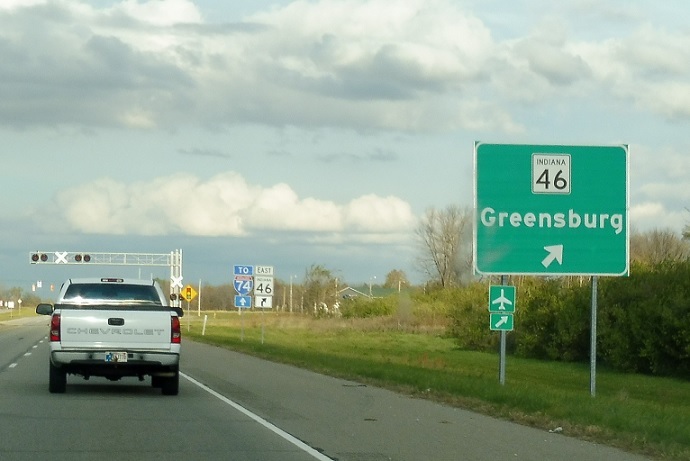 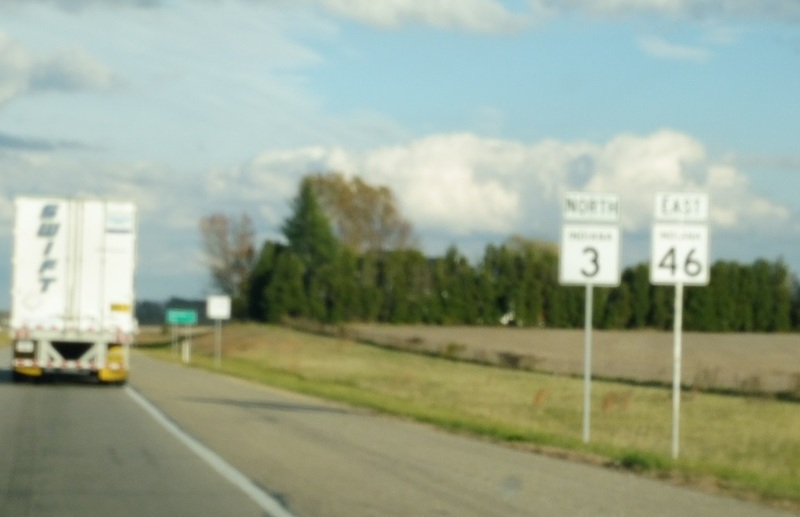 On the west side of Greensburg, we’ll approach the 46 split. 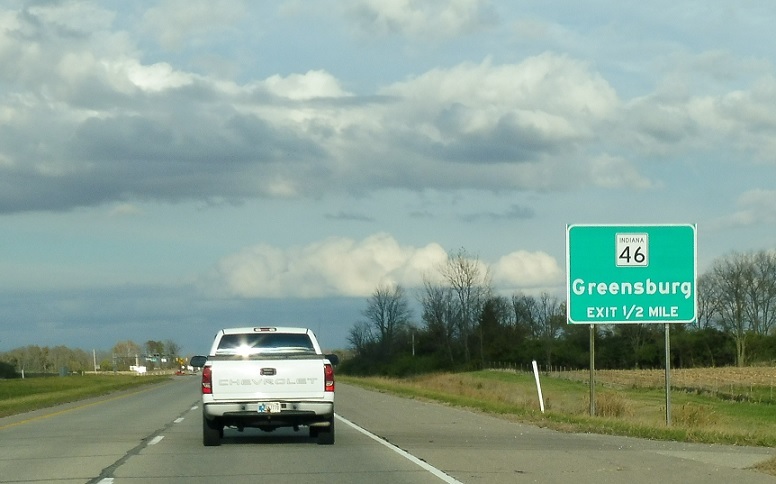 Exit for SR 46, which heads into downtown Greensburg. 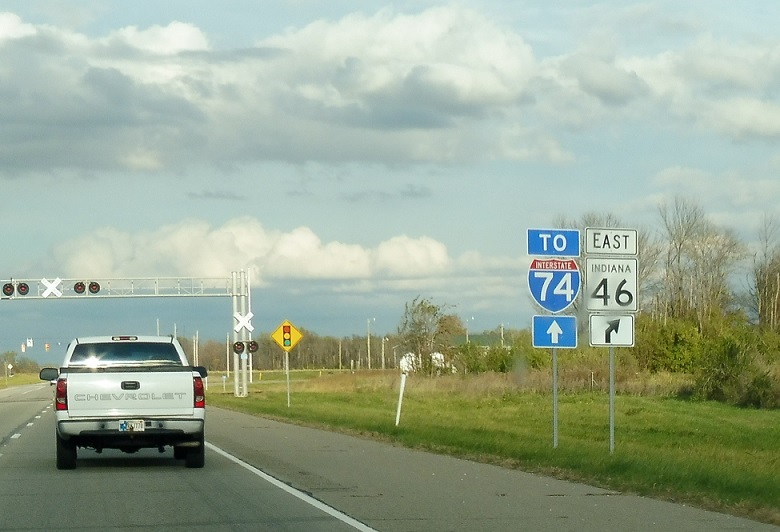 Stay on SR 3 for Interstate 74.